The Ministry of Education (MoE) announced the official school calendar for all public and private schools in the country on May 15. 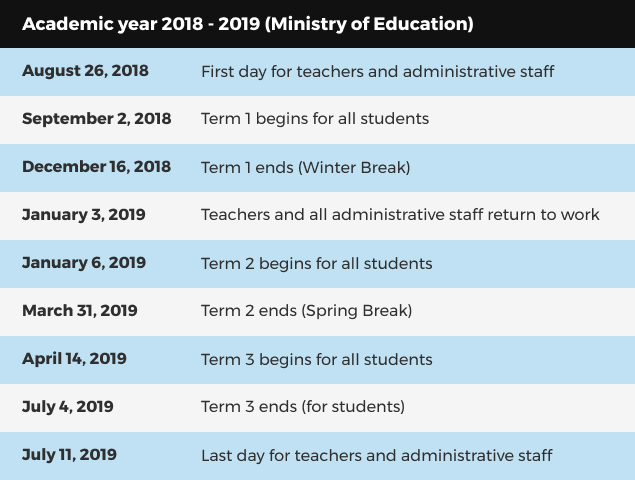 The school calendar for private schools in Dubai was announced for 2018-2019 earlier this year. 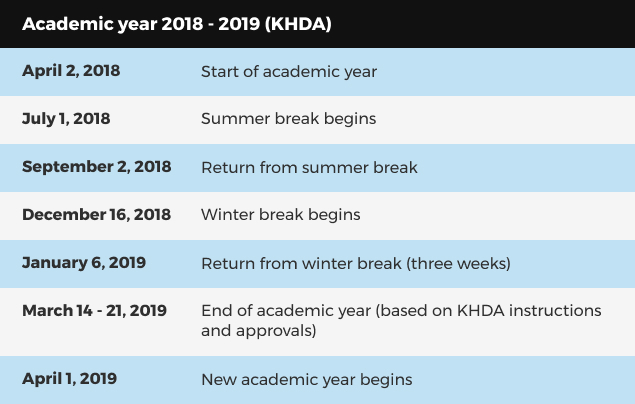 Knowledge and Human Development Authority (KHDA) regulates the calendar for private schools in Dubai but this corresponds to the ministry approved calendar. However, based on KHDA approvals, schools may extend or reduce winter break (four weeks or two weeks).